Make sure that you have a proper Internet connection on your machine. 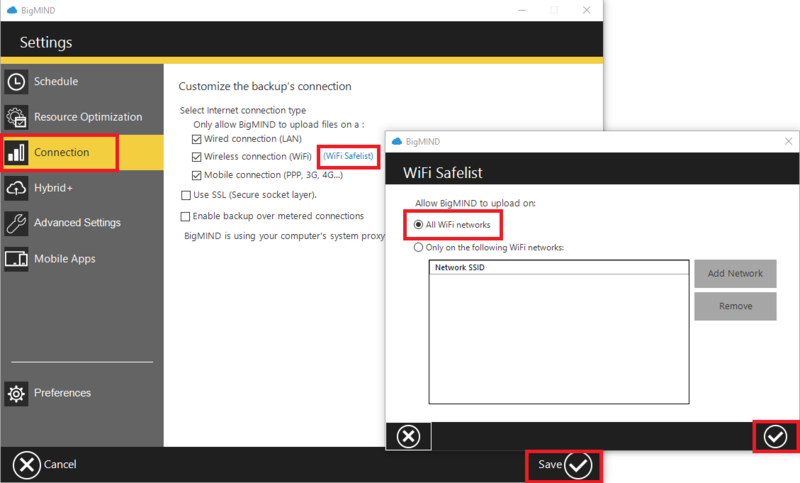 Open your BigMIND desktop software → Settings → Connection → If the Wireless connection (WiFi) option is selected, click on WiFi Safelist, and make sure the All WiFi networks option is selected → Click the Save icon → Click the Save icon. 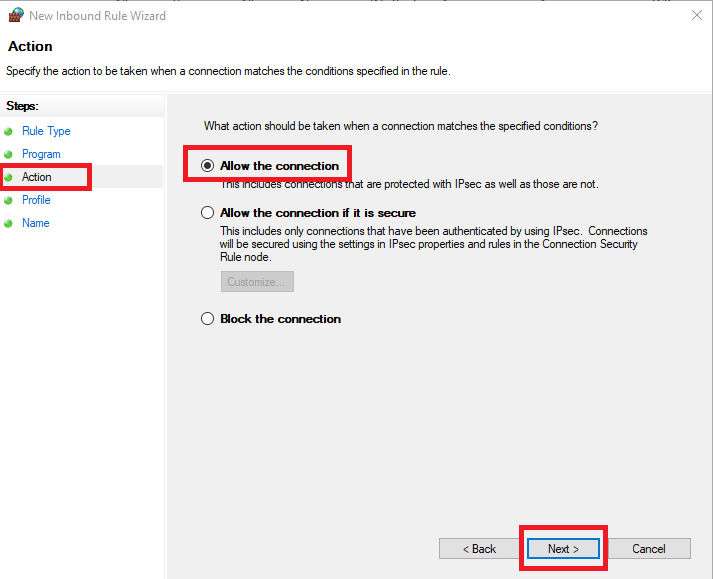 If the above does not solve the issue, go to the Settings of the BigMIND desktop software again → Connection → Enable the Use SSL option → Save. 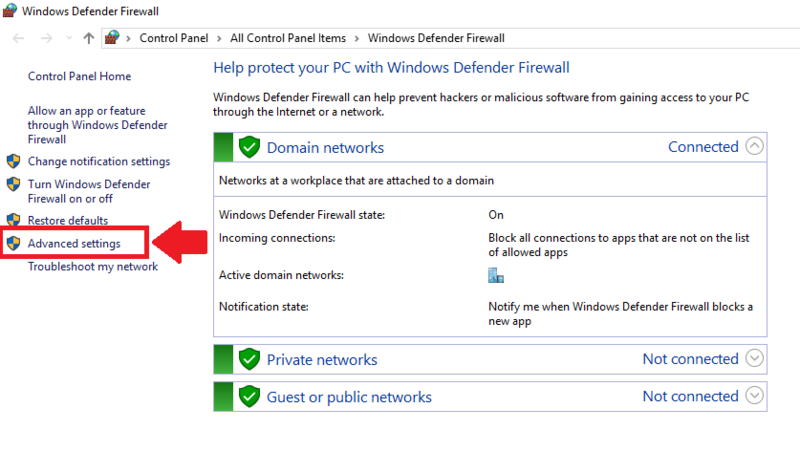 From your Control Panel, click Windows Defender Firewall. 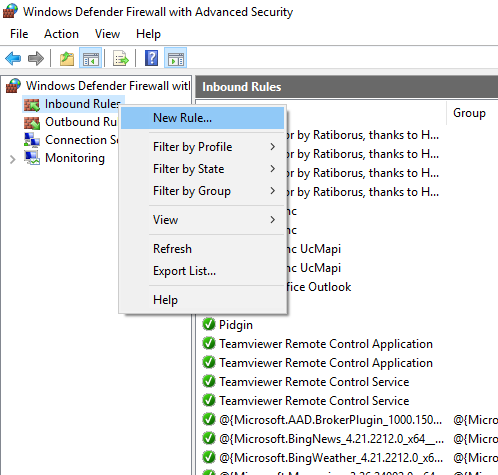 Once the Windows Defender Firewall window is open, click the Advanced settings option on the left side panel. 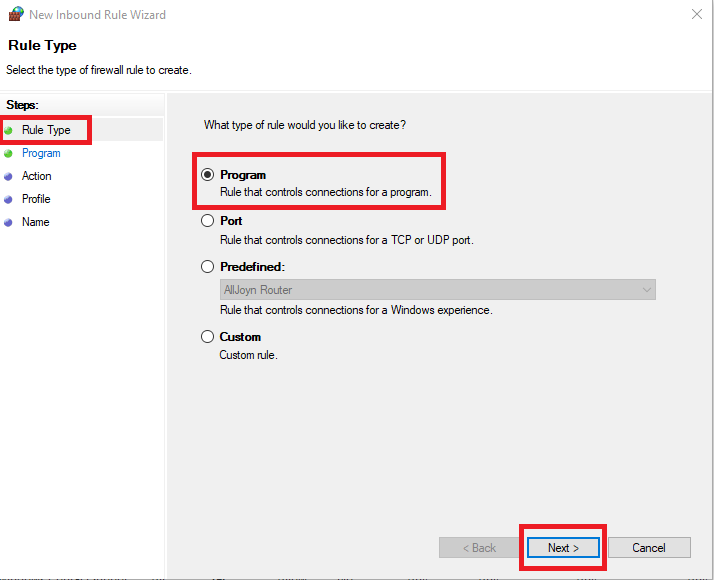 Step 1: Set the Rule Type to Program → Click Next. 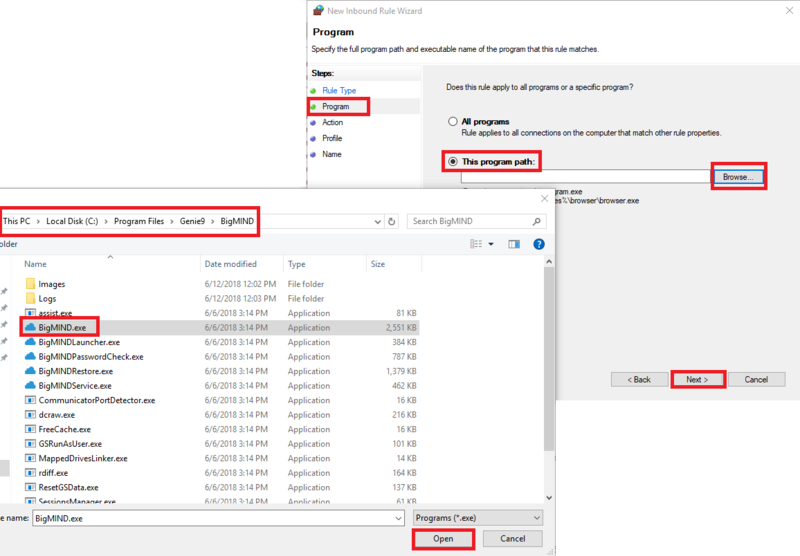 Step 2: Select the This program path option → Browse… → Locate and select the BigMIND.exe file. The default location of this file is C:\Program Files\Genie9\BigMIND\BigMIND.exe → Click Next. Step 3: Set the Action to Allow the connection → Click Next. 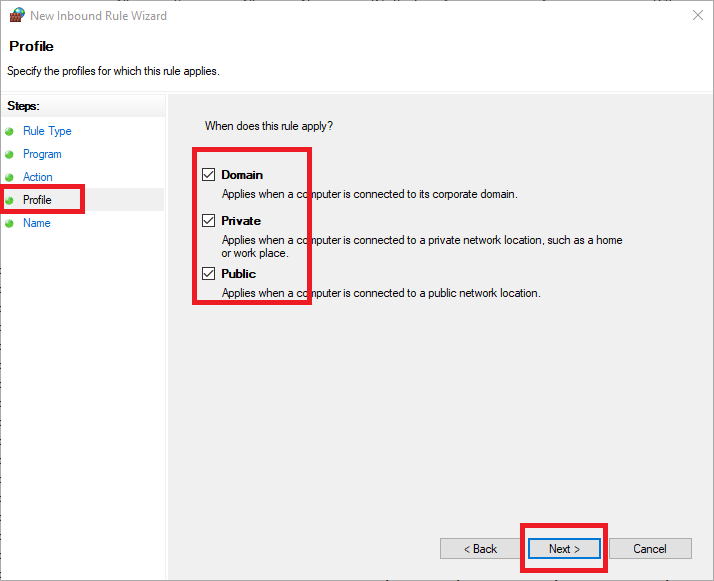 Step 4: Check all the three boxes there; Domain, Private and Public → Click Next. 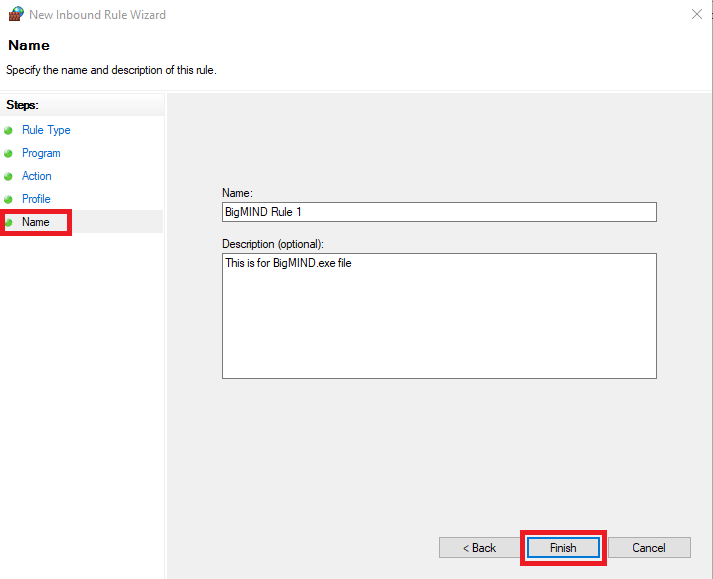 Step 5: Give this new rule a Name and a Description (Optional) → Click Finish. Make sure that your Firewall on the Router side is not blocking the BigMIND related EXEs from passing through.